Figure candles have been used for many centuries. Many spells and practitioners call for burning cat candles. They can be used for luck, protection and casting spells. When ordering, please specify the color candle you would prefer – for a more detailed description of the colors, please see below. 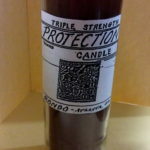 This candle is available in black, red, white or green. When ordering, please specify a color. Red Cat Candle: Can be used in your rituals to help create positive change, especially in regards to matters of love, lust and passion. 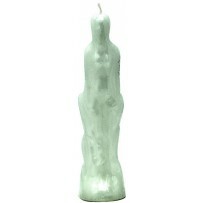 White Cat Candle: Use this candle to bring positive energy and a new beginning in to your life. Green Cat Candle: Intended to end streaks of bad luck and financial misfortune. 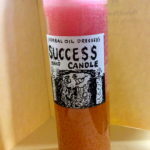 Using this candle will bring prosperity and good luck into your life. 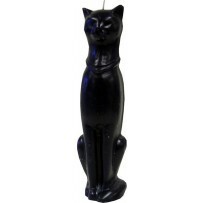 Black Cat Candle: This candle can be used for ancestor worship and seeking the spirit world to create positive changes in your life.